Erik Bower is an attorney practicing law in the fields of personal injury and worker's compensation, with a focus on Defense Base Act cases. Mr. Bower earned his B.A. in Criminology from the University of Florida and his law degree from Nova Southeastern University. While pursuing his law degree, Mr. Bower was inducted into The Order of Barristers, which is an honor given only to the top individuals who have excelled in oral advocacy and writing skills. 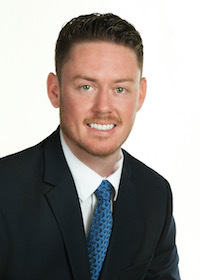 Prior to becoming an attorney, Mr. Bower worked at the Broward State Attorney's Office, where he further advanced his advocacy and litigation skills. However it wasn't until a legal internship at an injury firm that Mr. Bower found his true passion for helping the injured. After admission to the Florida Bar, Mr. Bower joined Attorneys Jo Ann Hoffman & Associates where he aggressively represents the injured and helps them obtain the benefits afforded to them by law.